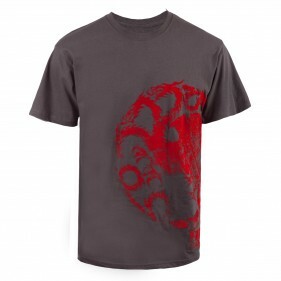 Fight for Fire and Blood with the Game of Thrones Targaryen Distressed Flock T-Shirt. You wouldn’t want to pet just any dragon, but the red three-headed sigil of House Targaryen is surprisingly soft. The 100% cotton shirt is a great way to show your loyalty to the Targaryens and Game of Thrones.